The building is a house of beauty, both in exterior and in regards to location along the edge of Gävleån. Together with a four-star interior, the Elite Grand Hotel Gävle - inaugurated in 1901 - can certainly be considered as a reason for its name. It's the feeling inside Elite Grand Hotel Gävle's 124 hotel rooms. With attractive colors and thoughtful design, the conference guests are welcomed with warmth and charm into their temporary homes. 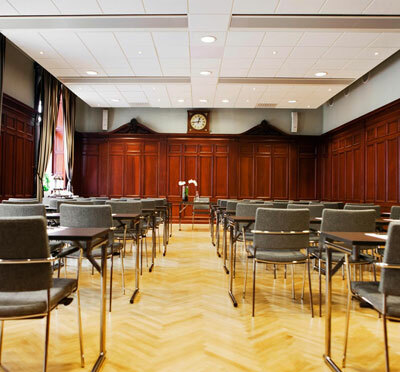 4 meeting rooms in the same preserved historic charm as the hotel in general awaits the business group at Elite Grand Hotel Gävle. The gallery with its wooden details, open design and lovely parlor fit for meetings with up to 130 participants. 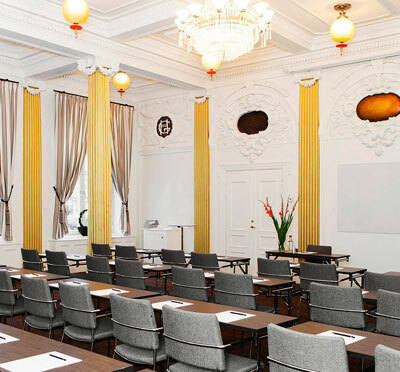 In Pelarsalen, 80 people can meet in an adorable environment with details from the early 1900s, while three other conference rooms are somewhat more modernly decorated with space for 40 and 14 people respectively. On Grands Veranda, conference participants eat classical food in combination with well-stocked views of Gävleån and its adjacent Strandgatan. Here are well-known dishes with modern touches that amazingly merge the time from time to time into a single tasty moment. Let the conference be a beneficial experience - both for the company and its representatives. When the work is done in the meeting room, bring your colleagues to the Elite Grand Hotel Gävle's gym and relax and enjoy a workout and / or a while in the steam room, Jacuzzi, sauna or adventure hall. For other activity suggestions, talk to Account Booker. Elite Grand Hotel Gävle is conveniently located in central Gävle, with public transport links within easy reach. With the river outside the hotel's door together with the hotel's historical anoremas, the resort has a troll aura, a tranquil charm in the heart of the city center. Have you been to Elite Grand Hotel Gävle and want to give your own comments?